Our small, cosy and clean hostel can be found in a central party / nightlife area in a nice typical Pest downtown building in Budapest city center at the very trendy Liszt Ferenc square (Budapest's most fashionable square), on the main bulevard of Budapest. 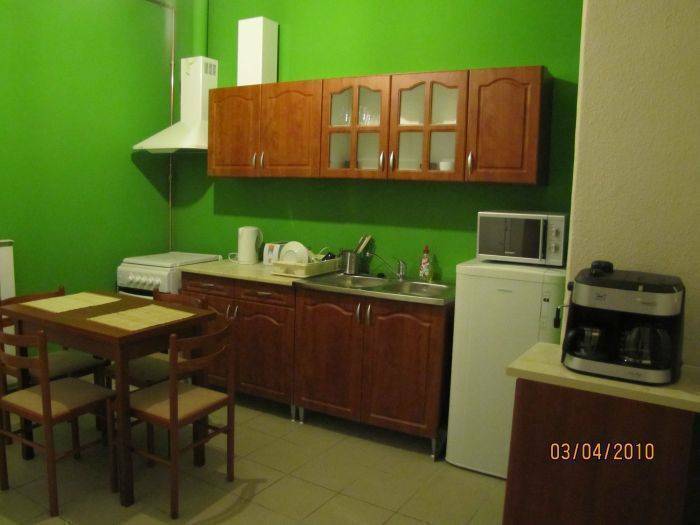 In total we have 7 rooms (5 private rooms, 1 dormitory, 1 apartment). and can accommodate up to 20 persons. Friends can be found in the very downtown of Budapest, right at the corner of the famous Liszt Ferenc square, a beautiful, trendy and fashionable place with plenty of restaurants, cafés, bars and music pubs, a lively square always full of people. We are easily accessible from International train stations (Keleti, Nyugati, Deli), bus terminals (Nepliget, Erzsebet sq), Budapest airport (Ferihegy). Cultural sights close to us: Basilica, Andrassy ut, Heroes square, City park, Szechenyi spa, Parliament and all major sights of Pest downtown. Travel services (we can help you arranging excursions in or outside Budapest, walking tours, boat trips, activities). We look forward to welcoming YOU at Friends soon! The newly renovated Friends Hostel offers all the services most Budapest hostels can provide: central location, friendly staff, clean private rooms, dormitories and apartment, free internet/wifi, guest kitchen and reception. Then WHY should you choose US? Because we want to show something about Hungarian art and artists as well. With our decoration, design and set up we would like to show you our painters, inventors, architects and our city. You can also see the art pieces of our contemporary artist friends. So if you are a bit culture minded and would like to know a bit more about us, about our culture and the famous Hungarians, hopefully we can offer something for your taste. * Our Location is ideal for sightseeing, visiting spas, museums or clubs. 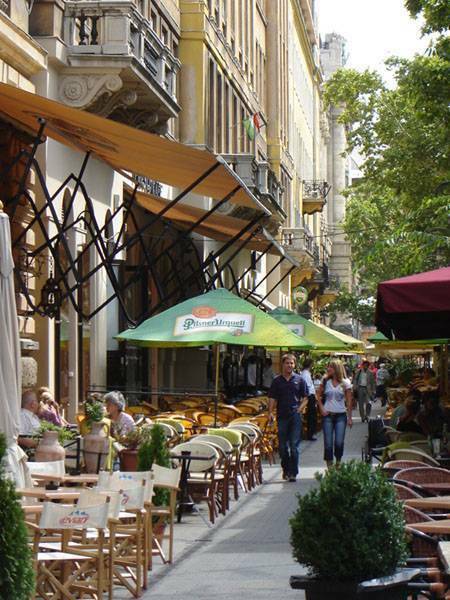 plenty of restaurants, clubs, and cafes, near the Opera House, the Music Academy, Liszt Ferenc square (Budapest's most trendy square) and the Andrássy avenue. There are 12 Restaurants, 14 cafes/pubs/clubs, 3 shops/supermarkets, 4 banks with ATM, 2 Money Exchange offices , a museum (House of Terror), a theater (Madách), a cinema (Örökmozgó), a metro stop (Oktogon, M1), 2 tram stops, 3 bus stops, a tourist office, a post office and a pharmacy within 300 meters from us. * Our Staff members are all locals, living in Budapest Centre, so can give you the most accurate information about museums, sights, events or places to go out. We will be happy to plan your trips, or arrange activities for you inside our outside the hostel. * Cleanliness is a crucial point and our newly renovated and refurbished hostel (in March 2010) will surely meet your expectations! Ps: No large groups please, maximum 5 persons are welcome! We look forward to welcoming you at Friends! YOUR ARIVAL TIME, BECAUSE WE MAY NOT BE ABLE TO PROVIDE BED/ROOM IN CASE OF LAST MINUTE BOOKINGS. Central loacation at main boulevard of Budapest full of shops, the trendy Liszt Ferenc square full of restaurants, Akácfa and Magymező streets full of music pubs and discotheques. Wherever you are, you should come to us by metro or on foot. ap. 9 minutes (~ 900 m) walk from Deák square (metro line 1/2/3). ap. 10 minutes (~1 000 m) walk from Nyugati railway station (metro line 3). Friends Hostel is located in Teréz körút (boulevard) 4 (second floor). The easiest way is to use our transfer services (link a transfers oldalra) and take the airport minibus for 2 500 HUF/Pers (~9. 5 EUR), or the taxi for 4 400 HUF / cab (max. 4 persons) (~18EUR) These directly take you to our address easily. Our hostel is app. 150 m. from here (see detailed map). You will need 3 normal travel tickets, which cost 300 HUF each. IF you land at Ferihegy 2 airport, you can easily come by the railway link to Nyugati station, from there you can walk or take the tram. Take the red line metro (M2) toward Deli pu. and travel till Blaha Lujza square (1st stop). We are 700 m from here, but you can also go 2 stop by tram no 4 or 6 (toward Moszkva square /both no 4 or 6/) and get out at Kiraly u. stop, we are ap. 30 m from here. Take the tram (no 4 or 6) toward Fehervari ut (no 4) or Moricz Zsigmond square (no 6) and get out at Kiraly u. (2nd stop). Take the red line metro toward Örs Vezer Tere and travel till Blaha Lujza square (6th stop). We are 700 m from here, but you can also go 2 stop by tram no 4 or 6 (toward Moszkva square /both no 4 or 6/) and get out at Kiraly u. stop, we are ap. 30 m from here. Take the blue line metro (M3) toward Úpest-központ and travel till Deák tere (4th stop). Then you can either walk (cca 9-10 minutes) or take the yellow metro (M1) toward Mexikoi ut and travel till Oktogon square (3rd stop). Our hostel is ap. 150 m. from here (see detailed map). When you arrived to Teréz körút 4 building, look for Friends / Friends Hostel sign on the gate bell panel and ring it /no 22/, our receptionist will answer and let you in. (We also have a small board there). When you are inside the building, turn immediately to the left to enter the staircase. Go up to the second floor by using the steps or the elevator, and you will see FRIENDS HOSTEL. These directly take you to our address. If you make a booking and e-mail us, we arrange with our driver to pick you up and take to our address. Get on the repter busz (airport bus) at the terminal and take off at the last stop (Kõbánya Kispest). Take the blue line metro (M3) toward Úpest-központ and travel till Deák square (10th stop). Take the yellow metro (M1) toward Mexikoi ut and travel till Oktogon square (3rd stop). Our hostel is app. 150 m. from here. 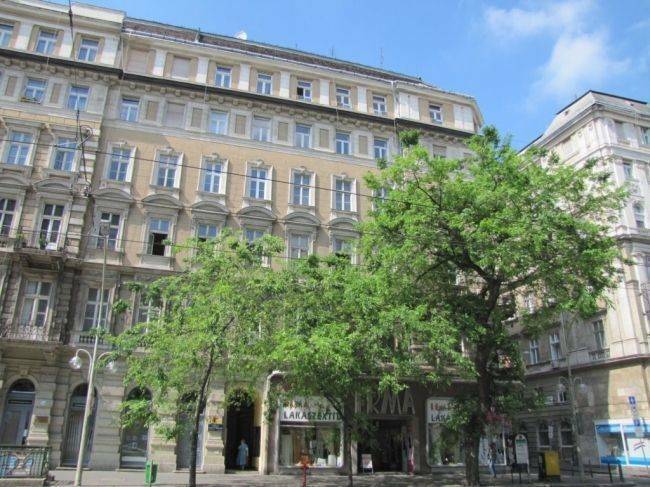 It is in the third building on the left from Kiraly street, Akácfa street corner. You will need 3 normal travel tickets, which cost 230 HUF each. Take the red line metro (M2) toward Deli pu. and travel till Blaha Lujza square (1st stop). We are 400 m from here, but you can also go 2 stop by tram no 4 or 6 (toward Moszkva square /both no 4 or 6/) and get out at Kiraly u. stop, we are ap. 50 m from here. Our hostel is in the third building on the left from Kiraly street, Akácfa street corner. You will need 1 stage ticket/szakaszjegy in Hungarian/ to get to Blaha Lujza square (180 HUF). Our hostel is in the third building on the left from Kiraly street, Akácfa street corner. You will need 1 stage ticket/szakaszjegy in Hungarian/ (180 HUF). Take the red line metro toward Örs Vezer Tere and travel till Blaha Lujza square (6th stop). We are 400 m from here, but you can also go 2 stop by tram no 4 or 6 (toward Moszkva square /both no 4 or 6/) and get out at Kiraly u. stop, we are ap. 50 m from here. Our hostel is in the third building on the left from Kiraly street, Akácfa street corner. You will need 1 normal travel ticket to get to Blaha Lujza square (230 HUF). Take the blue line metro (M3) toward Úpest-központ and travel till Deák tere (4th stop). Then take the yellow metro (M1) toward Mexikoi ut and travel till Oktogon square (3rd stop). Our hostel is ap. 150 m. from here (see detailed map). Our hostel is in the third building on the left from Kiraly street, Akácfa street corner. You will need 2 normal travel tickets / (230 HUF each).